As the first HDMI 2.1-enabled TVs are approaching release, we're finally seeing the market for HDMI 2.1 accessories fall into place to support those products. 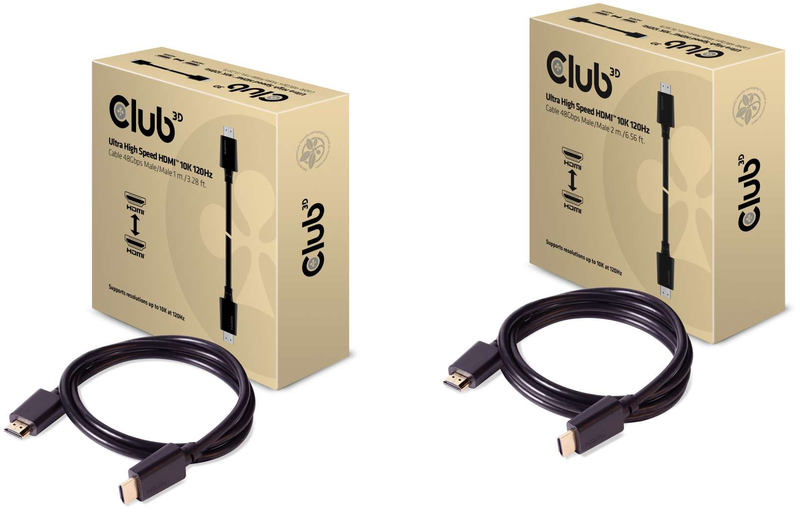 To that end, Club3D has announced the company’s first Ultra-High Speed HDMI 2.1 cables, which as per the UHS designation, are capable of supporting 48Gbps data rates. The new cables are aimed at next-generation UHDTVs featuring resolutions of up to 10240×4320 at 120 Hz with DSC 2.1 compression. Club3D’s new products fully support all of the features that the HDMI 2.1 spec calls for, so they should be future-proof and will handle everything that the consumer electronics industry will have to offer for years to come. Club3D will offer two versions of its Ultra-High Speed 48G HDMI 2.1-supporting cables: the one-meter long CAC-1371 and the two-meter long CAC-1372. 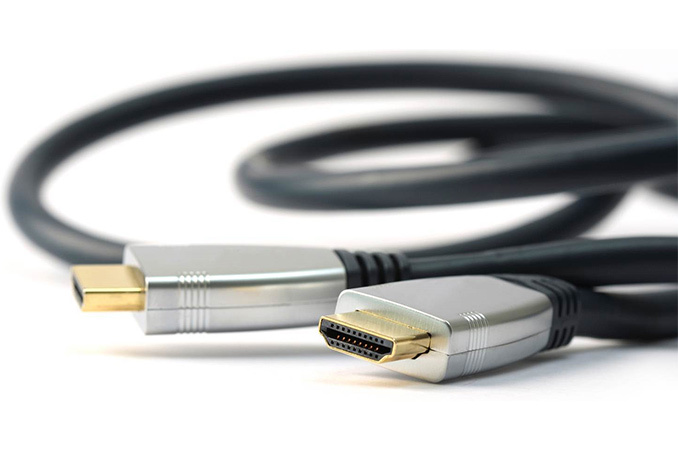 Both cables feature four data lanes operating at 12 Gbps each for an aggregate bandwidth of 48 Gbps, and as per the HDMI spec, retain backwards compatibility with existing equipment. The ample bandwidth HDMI 2.1 provides enables it to support new UHD resolutions an refresh rates including, including 4Kp120, 8Kp100/120, 10Kp100/120, and upcoming color spaces, such as BT.2020 (Rec. 2020) with 10, 12, or even more advanced with 16 bits per color component. In fact, high resolutions and bit depths eat up 48 Gbps of bandwidth quickly, so for anything higher than 8Kp60 with 4:2:0 chroma sub sampling and 10-bit color, VESA’s DSC 1.2a link compression technology is used. Besides new resolutions, refresh rates, and HDR bit depths, HDMI 2.1 support a number of new capabilities, including Variable Refresh Rate (VRR), Quick Media Switching (QMS), Quick Frame Transport (QFT), and eARC. The new features do not require UHS HDMI 2.1 cables for today’s content with up to 4Kp60 resolution with 4:4:4 chroma subsampling. Meanwhile, a combination of 4Kp120/4:4:4 and VRR will entail 48G cables. 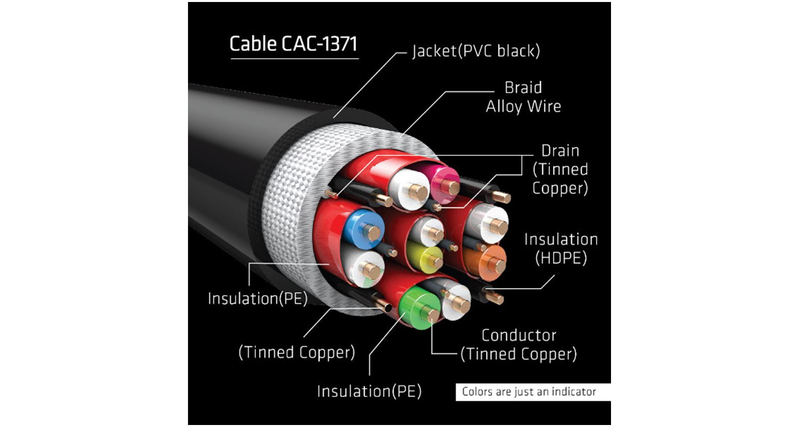 Club3D has not announced pricing of its 48G HDMI 2.1 cables, but keeping in mind that the new cables are more complex to assemble than their predecessors, expect them to be more expensive than regular 18Gbps HDMI 1.4/2.0 cables. CMRR is p high in the amplifiers and alien crosstalk is essentially a non-issue with shielding. Near end crosstalk can be cancelled out through fancy receiver tricks. "The ample _of_ bandwidth HDMI 2.1 provides enables it to support new UHD resolutions _an_ refresh rates"
Is that what is required in a cable for the newer PC monitors that are finally pushing 4K 100 and higher refresh rates?